The Mississippi Certified Farmers Market program is a voluntary branding program, created and administered by the Mississippi Department of Agriculture and Commerce to promote and identify a market place for Mississippi grown fruits, vegetables, plant materials, and other products made and/or processed in the state. Factors that define the term “Farmers Market” and distinguish farmers markets from road-side stands, grocery stores and from other types of food marketing outlets include groups of farmers selling produce and food products they raise or home process to individual customers at a temporary or permanent location, often on public property, such as a street or parking lot on a periodic basis, typically once or twice a week for a set period of time, usually 3 or 4 hours. This happens during the local growing season, usually 5 or 6 months and is operated by a government or non-profit organization. 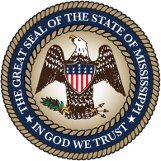 The primary objectives of a Mississippi Certified Market are to offer a diverse product selection, attract a large and repeating customer base, and afford farmers a profitable location to sell produce and other goods. Certified Farmers Markets also allow those consumers the opportunity to personally interact with the farmers, while providing them the satisfaction of knowing the origin of their food and the opportunity to support the local economy. This marketing initiative is designed for true farmers markets that have become so important to the preservation and promotion of Mississippi agriculture. Benefits to the farmers include free membership, promotional assistance with advertising specific to each market, tax exemption status on most items, and supplies such as logo stickers, pricing cards, and signage, as well as website links. Members will also have occasion to participate in educational workshops, and when offered, apply for mini-grants. By becoming a Mississippi Certified Farmers Market your market will be recognized as offering the highest quality products in the marketplace; not to mention, connecting farmers, consumers, growing seasons, the community, and providing support for the number one industry in the state: Agriculture!